It started as a simple cough. Then simple turned into complicated. And we took one giant step backwards. “We’ve come so far,” I sobbed to my husband. “It’s unfair,” I cried into his shoulder. 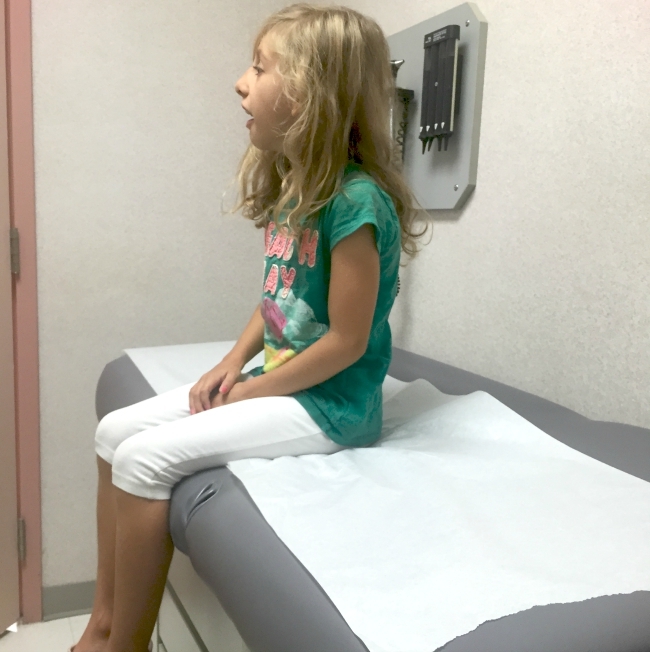 It took me years to quiet the fears after our daughter suffered her first and nearly fatal seizure. It took time and hard work to get back on track after that. But, eventually the PTSD faded into fleeting worries, and those worries began to quiet. Mostly. We finally had a taste of what family life is like without the fear. So this summer we ventured far and wide and high. We traveled by plane—up in the air for hours away from the possibility of medical assistance. We enjoyed a cabin high up in the mountains. We frolicked in lakes, camped, and canoed, paddling farther and farther away from access to help if we should need it. But guess what? I wasn’t worried. At all. Life was sweet—the sweetest and most fun it’s ever been for our family. Our son got it first. Just a dry hacking cough, no other symptoms. A month later, near the very end of our family vacation in B.C. my husband and Avery began to cough too. Just a throat tickle really. But what makes this particular cough so bizarre (other than the fact that me, the germ sponge of the family, didn’t get it) is its persistence. For Sebastian, it has lasted for nearly eight weeks and counting. Though it’s sporadic now, mostly only at night or when he’s winded, it’s still there. But he’s a strong healthy kid and for him, the cough is just an annoyance. My husband has been coughing every night for weeks. It’s a loud startling hack that has forced him into hiding. He sleeps on a mattress in a sleeping bag in the basement every night like a squawter in his own home. Both were checked and re-checked by several doctors. “Just a cough caused by a virus. Let it run its course,” they were told. But for our little girl, a big cough is alarming. And the side effects are the most alarming part of all—the part that has brought her mama’s fear flooding back in giant crashing waves. My husband brought her to our family doctor the day we got home from vacation. “Just a cough caused by a virus. Let it run its course,” they were told once again. 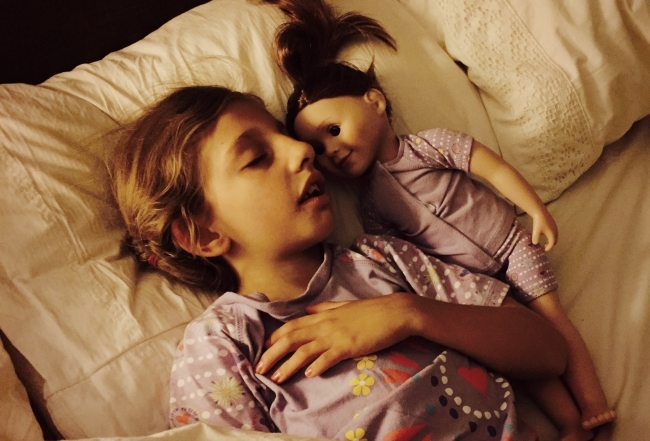 Her lungs are clear, no fever, no other symptoms, so this diagnosis made sense. Over the next few nights however, the cough worsened. Avery had trouble breathing and gasped for air. “Could this be Whooping Cough?” we wondered. My husband took her to a walk-in clinic the next morning. This was not Pertussis the doctored assured us, just a normal cough, but he prescribed a Flovent puffer and recommended a cough suppressant to keep the symptoms under control. Less than 24 hours after taking the first of four daily puffs (the wrong dose I might add. This type of puffer should not be taken more than twice daily. I found this information online and it was confirmed by one of Avery’s specialist doctors) her symptoms worsened dramatically and she exhibited these symptoms below. 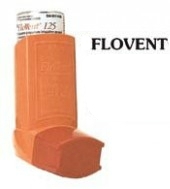 Flovent inhalers are prescribed to treat the symptoms of Reactive Airway Disease. Avery does not have RAD. Studies have indicated that though the steroid medication Fluticasone used to help prevent asthma attacks does reduce inflammation in the airway, it can also produce a thick mucous—a thick mucous that a little girl I know has choked on. I’m not passing judgement on inhalers. They certainly serve a purpose and work for some people, but not for us. *If you use an inhaler, be sure to rinse well after each and every puff. Avery’s doctor told us that the use of Flovent puffers can cause a fungal infection in the mouth/throat/sinuses. Within forty-eight hours of beginning the Flovent, Avery lost her appetite and complained of a sore stomach. Then that night she vomited. She was having a sleep-over in her brother’s bed. Something they do often. Thank god. He shouted downstairs to us to come quickly, that Avery wasn’t breathing. He sat her up and by the time we got there, only seconds later, she was choking on her stomach contents. I don’t know how long it was before she vomited again, dislodging whatever was caught in her throat. Maybe a minute. The longest minute. Avery has been sleeping with me ever since. Though neither of us is sleeping much at all. Two days later I made Avery her favourite lunch, mac and cheese, which she declined. She said her tummy hurt. I asked her to take a sip of water then, to stay hydrated. The second the water hit her stomach, she gagged, then choked and stopped breathing. Her lips quickly turned blue. I screamed I think and my husband took control. She then vomited into the sink and caught her breath. Back to the doctor. The clinic doctor (our family GP is away) didn’t take this seriously at first. Then I got upset and he listened and confirmed that 4x a day for the Flovent was wrong—that we should continue use but at 2x daily and he prescribed an additional Ventolin”Rescue” inhaler to open the airway in case of emergency. The emergency came three days later. After a few days, with very little coughing, it seemed Avery was on the mend. We spent the day at my parent’s house—playing and having lunch by the pool. I went inside for a few minutes but when I heard the gasping, I ran back outside. Avery was choking again. My mum told me to get the emergency inhaler. I searched the pool bag, but it wasn’t there. I panicked. Then I remembered it was in my purse in the house. I ran to grab it and ran back. Avery was pale, her lips blue. Her brother was beside her, telling her firmly to breathe through her nose. As I got closer, she vomited onto the pool deck which cleared her airway. My hands were shaking from adrenaline and I struggled to get the puffer to her mouth to give her a “just in case puff.” Then Avery said, in her typical Avery way, “I fine. I so sorry guys.” She was sorry for upsetting us. My heart. We stopped the Flovent Inhaler completely after that, and though she still has the sharp cough, the other symptoms have greatly improved. Avery doesn’t seem to be upset by any of what has happened. She is full of smiles, raring to go, excited to see her friends back at school. I’m sad that my son has had to see any of this, more than once, and now my parents too. It’s an upsetting image to carry around and it’s hard to shake. We returned to my parents’ to spend Labour Day poolside. The moment I saw the spot where Avery choked the week before, I couldn’t breathe. I felt ridiculous and frustrated with myself. The sun was shining, there was food, and an air mattress with my name on it. Avery was fine. And we had things under control. But when I closed my eyes and tried to breathe evenly, I found myself being pulled back in my mind to the day Avery was lying unconscious in her crib in a pool of vomit, not breathing. She had thrown up during a seizure. The feelings came rushing back. My head spun and my heart raced. Try putting your head between your knees in a bathing suit. It’s not pretty. I eventually got it together. And of course, my family didn’t make me feel weak for having this moment of weakness. They understand. Even more now, unfortunately, than before.